Welcome to our web site! Explore the site for up to the date health information, the latest news on natural products and accurate health tools to assess your lifestyle. Check back often to discover our store specials, events and coupons. If you have any questions about other products we carry please give us a call. We Ship Throughout the U.S! 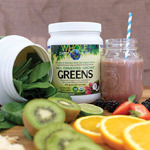 Come on in for Green Coffee Bean Extract & Raspberry Ketone, as well as other item's discussed on the Dr Oz show . Great Gluten Free and Raw Gluten Free Suffing Recipes For Your Holiday Parties! A delicious way to naturally support healthy blood glucose levels! Studies show that Splenda may not be as healthy as previously thought and may instead cause weight gain. 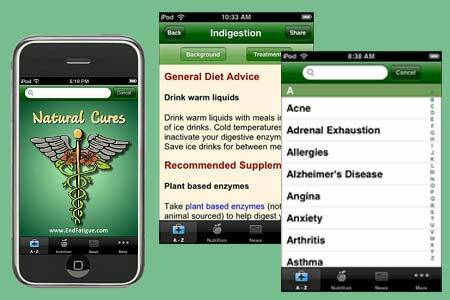 "Natural Cures" presents over 112 health conditions from A to Z and their treatments- both conventional and integrative- in easy to understand language. Also read more on how you and your loved ones can stay protected and connected... with WaveSHIELD products sold for $19.95 and our two Nature's Pantry locations! This article was provided by: Aging Healthfully Magazine and garynull.com. It includes a section of foods with special healing value that you should use two to four times a week. A fiber from this popular grain cab help improve your circulation. Coconut Oil May Help Prevent Vision Loss & Additional Updates! By Trish Sugarek, research & development, technical support for Bluebonnet Nutrition. were overweight in 2001 to 2004! Read more easy and helpful tools given by the American Heart Association that should be implemented. This article presents the latest information on what may very well be one of the most potent cancer fighters yet discovered, Ellagic Acid. Clarify some of the confusion regarding "ellagic acid" vs "ellagitannins". Nature's Pantry carries a large selection of Muscadine Grape products that contain RESVERATROL, ELLAGIC ACID & QUERCITIN, a combo not found in other grapes, or other fruits & vegetables. Here are just some of the many things that raw manuka honey effectively treats: atheletes foot, arthritis, sore throat, acne, blisters, cold sores, ring worm, scabies, rashes, burns, ulcers, infections, insect bites, lice, dry skin, nail fungus, and more! Click the link to learn more on this natural healer! A comparison of two popular products sold in many health food stores. Organic oranges are grown without the use of pesticides, fungicides or synthetic fertilizers. Research by the American Chemical Society found that organic oranges contain 30 percent more vitamin C than their conventional counterparts. Next time you shop for this juicy fruit, go organic. Nature's Pantry is a family owned and operated health food business with over 30 years of experience. We pride ourselves with providing quality products and personalized <?xml:namespace prefix = st1 ns = "urn:schemas-microsoft-com:office:smarttags" />customer service. We are an authorized Roex retailer and sell all the major brands to give you one stop shopping for your vitamin, health and beauty and dietary needs. We also strive to answer your questions to help you make smarter and healthier decisions when buying natural products. We are here to help you!